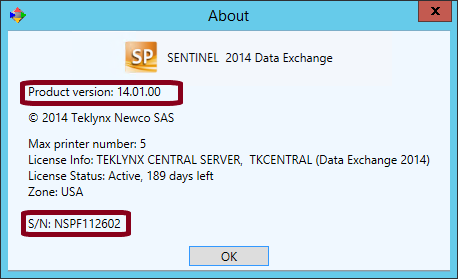 Instructions on how to find the serial number for an existing instance of SENTINEL running on a server. This applies to SENTINEL instances that either are currently activated or have been activated in the past (and perhaps expired). 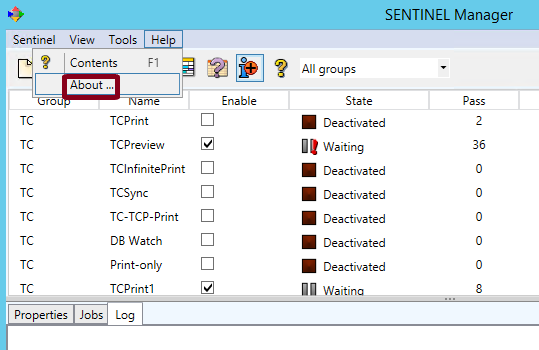 Demo instances of SENTINEL that have not been activated do not have a license or serial number. 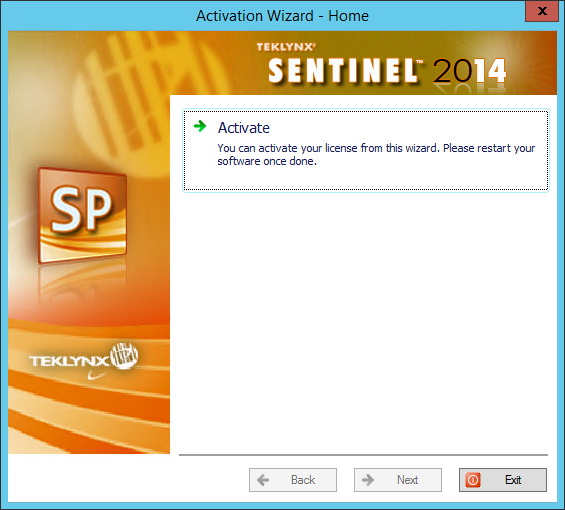 Attempting to run an instance of SENTINEL or run the SENTINEL License Manager on a computer that has never had an activation installed will yield an activation screen (i.e. no License #). The Serial Number box contains the software serial number. It should look something like this: MKH72444 or NSPF66236.